There is an unexpected bonus that comes with living in a city different to the one in which you were raised; it forces you to live; to become an urban explorer. This is mostly because you need to get out there and find things—friends, a hairdresser, a doctor, a new ‘local’, a place that makes coffee the way you like it and the list goes on. Having spent 15 months as an ex-pat in London, I firmly believe that it is only when living in a city where no one knows who you are, that you can work out who you’re meant to be and with that comes endless possibilities. And when that city is London, well, every experience is magnified; there is always somewhere new to visit, to explore, or to devour. In just a few short weeks my lovely friend Rachel and her husband Joe will pack their bags—and their golden retriever Jesse—and set off to find their own adventure in London. As part of our farewell, I promised Rachel I would put together a list of a ‘couple’ of my favourite places and things to do in London. I think she was expecting a post-it note. But instead, I give you my favourite things to see, do and taste and experience in old London town. In Covent Garden after my farewell party when leaving London. Check out the movie premieres in Leicester Square—my friend Kate and I stumbled upon Bradley Cooper at the opening of The Hangover (and yes, he IS that gorgeous in real life). Watch the Harrods’ Christmas Parade then pop into Hyde Park for a Mulled Wine from the Christmas markets. They also set up an area of faux snow for children (and tourists) to play in. On a sunny day, head to Richmond and sit along the Thames with a drink and a picnic lunch. Feed the squirrels in one of the parks. (But not hot and spicy corn chips … they make them agitated and they will attack and they have long memories and many relatives*). Watch the street acts in Covent Garden (I grabbed a sandwich from the M&S opposite the tube station. You can get pre-made ones or they have a new takeaway/café where they make fresh ones that are amazing!). By the way … The first performance of a Punch and Judy show at Covent Garden was recorded in Samuel Pepys’s diary entry for 9 May 1662, and it is believed a similar puppet show has been seen there every year since. 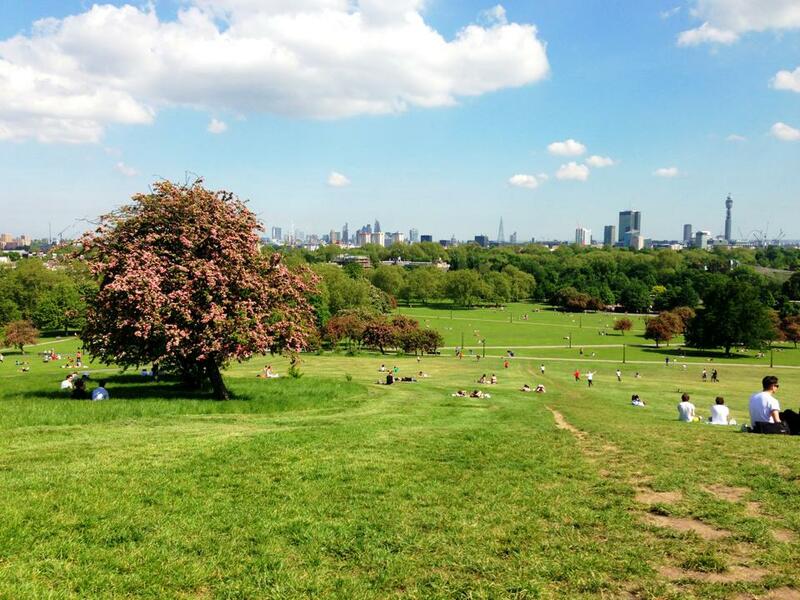 Picnic in Hampstead Heath and visit Kenwood House (which is where Julia Roberts’ character was filming her period drama in Notting Hill). Visit the Tate Modern Gallery, London (I’ve still not made it there). See a concert at the O2. Talk to the animals at London Zoo. Sit on the grass in front of the London Eye and just absorb it all; the structure, the weather (do it on a sunny day), eat something delicious and watch the world walk past. Visit Queen Mary’s Garden within Regent’s Park—it contains thousands of roses, delphiniums and begonias. It’s really quite beautiful and there are often people sitting near the lake painting. Go to the open air theatre to see a Shakespeare performance. Go to a soccer (football) game … I’m not much of a soccer fan, but the games are pretty fun because of all the songs and chanting and general football hooligan banter! Attend a Royal Garden Party or Trooping the Colour (you can apply for an invitation through the Australian High Commission). There’s nothing like a party invitation from the Queen (seriously … mine says Her Royal Highness Queen Elizabeth II cordially invites Miss Brooke Falvey to a Royal Garden Party… BEST PARTY INVITE EVER.) And you’ll need to wear a hat. Wimbledon. It’s a really great day out. 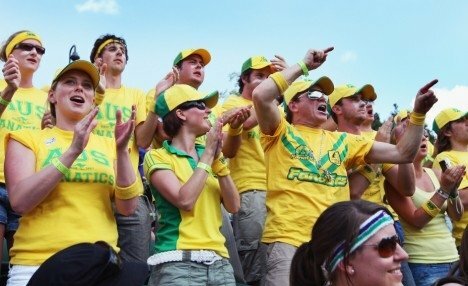 If you go with the Fanatics they’ll sweep you up in the excitement. Plus you can eat strawberries and cream and drink Pimms in the sunshine while celebrity-spotting. Spend New Years’ Eve somewhere fab… I was squished among thousands of people on The Strand to watch the fireworks. Find somewhere to watch a bonfire/ fireworks on Guy Fawkes night (Remember, remember the 5th of November). And all the usual touristy things; I visit Buckingham Palace each time I’m in London. Cheering on Lleyton Hewitt at Wimbledon. Dans Le Noir in Clerkenwell (the restaurant totally in the dark) … it’s still on my bucket list so please go there for me! The Ice Bar (rug up in big jackets and chill out in a bar made of ice!). Also on the bucket list. Splurge on dinner at OXO Tower; the food was amazing and the drinks are delicious. For an awesome 80’s night out go to a bar called Reflex (there are a few around). It’s like Calibar on steroids and so much fun. Jamie’s Italian or Fifteen— carb loading but so worth it! 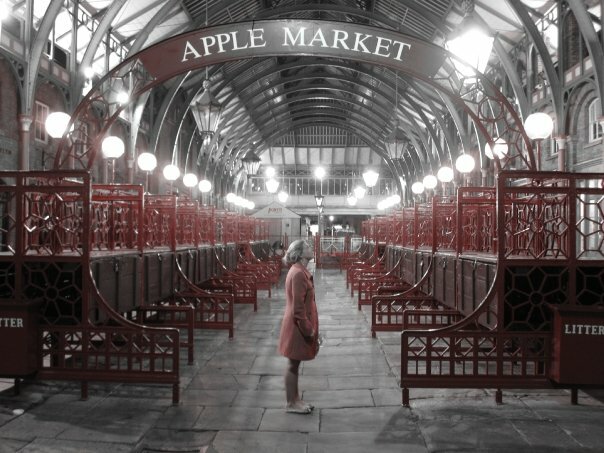 Borough Markets— great for food. Especially the Citron Tarts. Oh my lord. So good. And the Burgito (burger patties on a burrito). 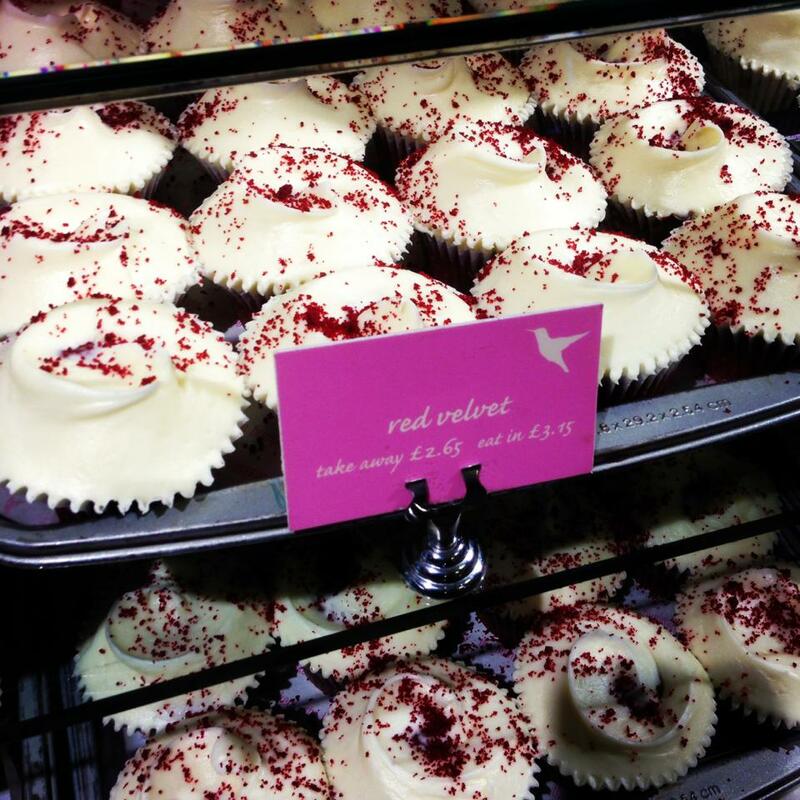 Hummingbird Bakery. Red Velvet Cupcake. Need I say more? Recipease by Jamie Oliver—Take cooking classes (the Mexican street food one is really good), or just have something to eat. The one at Notting Hill is opposite the Tube station so it’s very handy. Have a curry from Brick Lane (I never did this, but it’s always recommended). Wander along Portobello Rd at Notting Hill eating a cupcake from Hummingbird Bakery. When the sun shines, drink Pimms. Celebrate a ‘Happy Monday’ at the Slug & Lettuce. I know it’s a bit of a local pub and there is one in almost every suburb, but the girls and I went most Mondays because it was half-price food and cocktails. I recommend the Southern Fried Chicken Wrap and a Rocktail (they’re the bomb…and potent, I did sing on the bus home after most visits!). Ping Pong for dumplings. There is one near Waterloo. Pizza Express. For pizza (obviously) and these amazing little dough balls. Seriously. Try them. And my favourite lunch places were Pret A Manger (Mature Cheddar & Pret Pickle sandwich) and Eat (Chicken Pot Pie). Red velvet cupcakes from Hummingbird Bakery are a must! The usual suspects on the high street are always worth a visit: Zara, Gap, French Connection, Oasis. 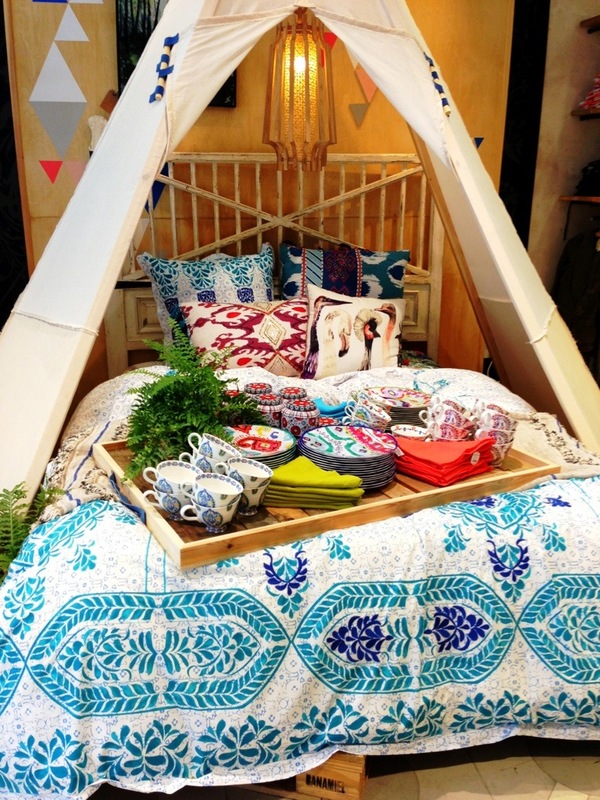 For beautiful quirky home wares, visit Anthropologie. They can be expensive, but if you just need a pretty little mug for a pick me up or to look at pretty things. The styling in the store is amazing (Regent St). Zara Home is also good for home wares. Oliver Bonas is a good shop for gifts for people (there are a few scattered around the place). Westfield (it’s like a little slice of Australia … but with no Australian shops). Harrods … it’s an icon. Possibly because it supposedly sold pure cocaine to the public up until 1916. The Food Hall is probably the most impressive part. And the Christmas Grotto. And the metal curtains designed to protect shoppers if a car bomb ignites outside. In the lead up to Royal Ascot, go and try on hats at Fenwick in New Bond Street. They’re expensive and amazing. I literally spent like two hours trying on hats— I felt like a member of the Royal Family. 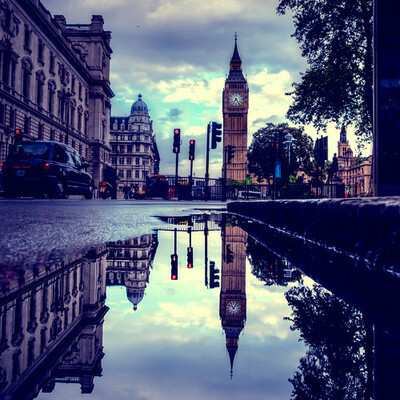 Climb the 311 steps to the top of the Monument to the Great Fire of London in which six people died. (They give you a certificate when you make it back down … I did, but my legs were pretty wobbly afterwards!). In Winter, go ice-skating at one of the big rinks with a beautiful backdrop (the Tower of London rink is pretty impressive, although I went to the one at the National Museum). Finish it off with a Hot Chocolate. Ride a Boris bike through Hyde Park or Regents Park. Walk across Waterloo Bridge (which was built mostly by women). The views down the river are pretty impressive. It’s my favourite bridge in London. Walk along the river at South Bank; there are plenty of restaurants and bars as well as street performers to watch. 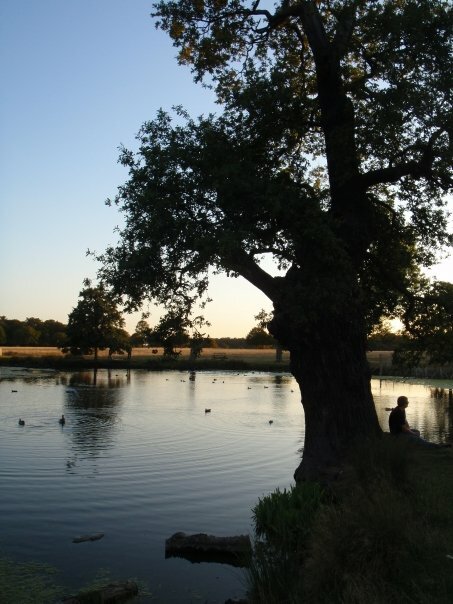 Visit Richmond Park in south-west London. It used to be in my ‘backyard’ when I lived in Putney and is absolutely stunning to walk through on a summer’s afternoon. And there are deer just roaming around! Indulge in lots of chocolate and frites with mayonnaise in Belgium for Easter. Take a day trip to Windsor Castle. Go to the ‘beach’ in Brighton; it is made of pebbles and is uncomfortable but sitting in deck chairs on the huge jetty is very nice. Paris. Always Paris. Make sure to stop by Laduree for macaroons (or macarons … whatever the spelling, they’re delicious). Check out the English countryside, starting with the Cotswolds. If you’re feeling adventurous try Running of the Bulls (without the running) and La Tomatina. I did both with the Fanatics. Croatia is always beautiful in the summer. I went with Sail Croatia and had a great time and met some great people. 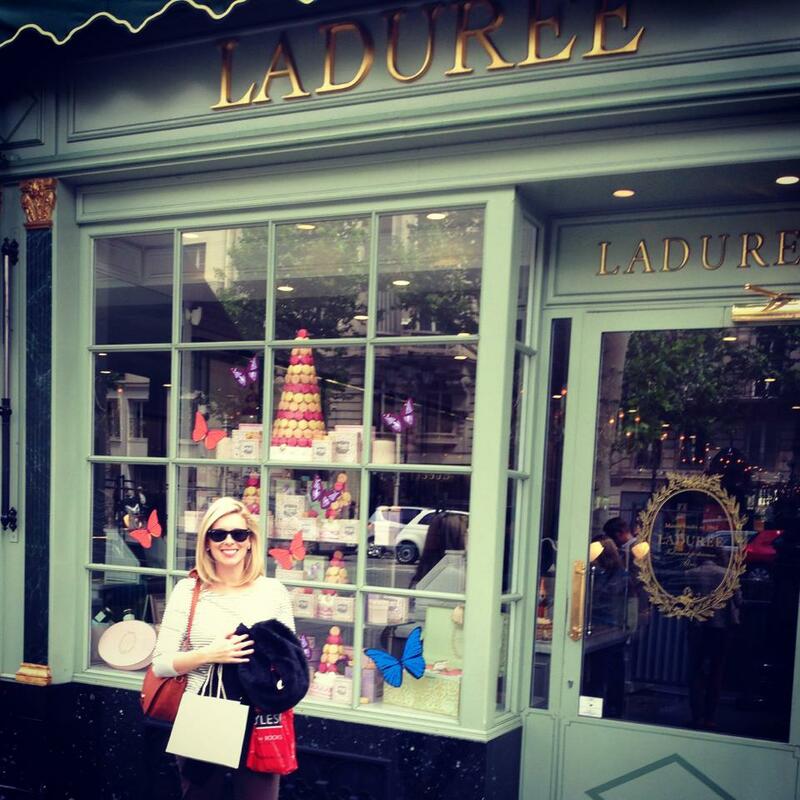 Macaron shopping at Laduree on my birthday last year. What are your recommendations for London? *okay there is no real proof that they will attack, but that one I gave the corn chip too looked mighty pissed off and the next time I was there, one jumped a little too close to me for my comfort! I have done some of these things…but definitely not all, will definitely, definitely use it as a guide for my last visit (for awhile) to London in August. Love the squirrels, but they do like to get to close for comfort lol.